Like the Holidays, Nantucket Bay Scallops hold a special place on our calendars, and in our hearts. Nantucket Bays are a shining example of SeafoodS.com commitment to “THE BEST” available. Our partnership with a very small, One Boat, One Man, One Woman operation on Nantucket Island, allows for one of the most profound, delicate, attentive, and assured direct overnight distributions in the nation. SeafoodS.com invites anyone who wants the best story that accompanies the best Scallops to consider this program for weekly features and menu dedication. We stand behind this fishery and guarantee its quality, menu-ability, and success. The story is a simple tale of a duo who loves the waters of Nantucket, and its bounty that provides for the livelihood of the Islanders. Jeff and Joan are terrific folks that put the needs of the customers above their own. Bitter winds, blowing rain, and frigid temperatures rarely deter their efforts to supply. “Know your fishermen” begins here! 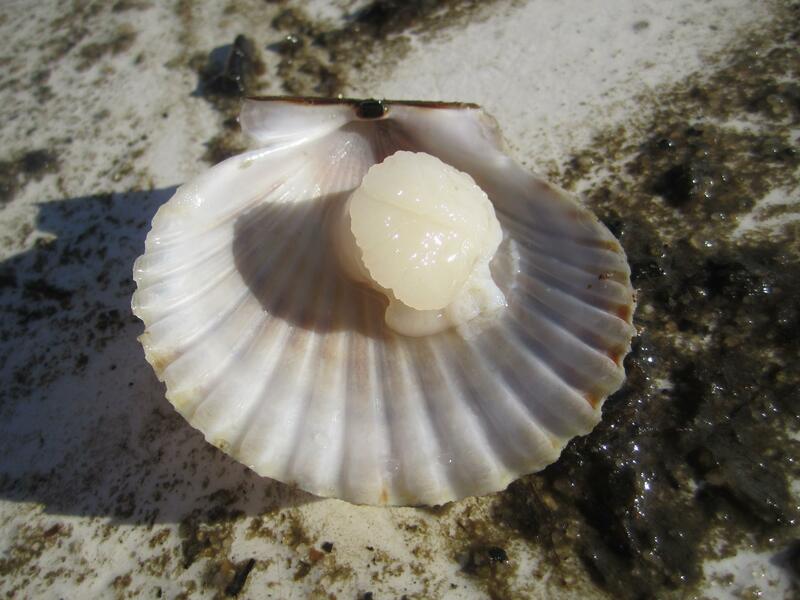 SeafoodS.com wants to be your Nantucket Bay Scallop supplier, and offer the best product available. Categories: MENU PLANNING | Tags: BAy Scallops, Chef, Executive Chef, Nantucket, Nantucket Bay Scallops, Restaurant, Scallops, seafood, Seafood Chef, Seafood Purchaser, Seafood Restaurant | Permalink.